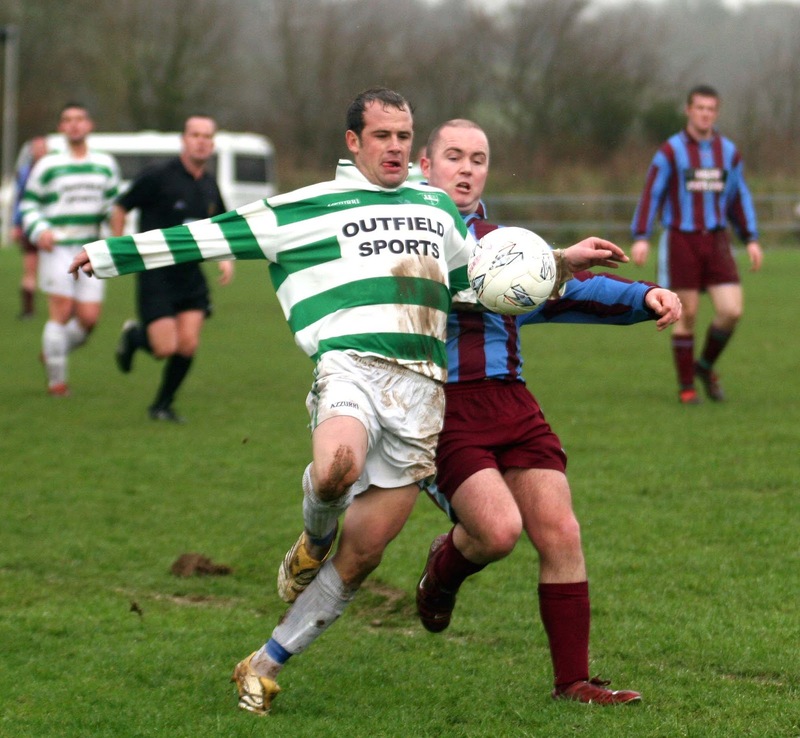 Waterford visitors Carrick United, finalists in 2004, continued their victory run against Cork sides when they scored a deserved 2-1 Statoil FAI Junior Cup victory over AUL Premier League outfit Villa United at Pfizer’s Park on Sunday afternoon. 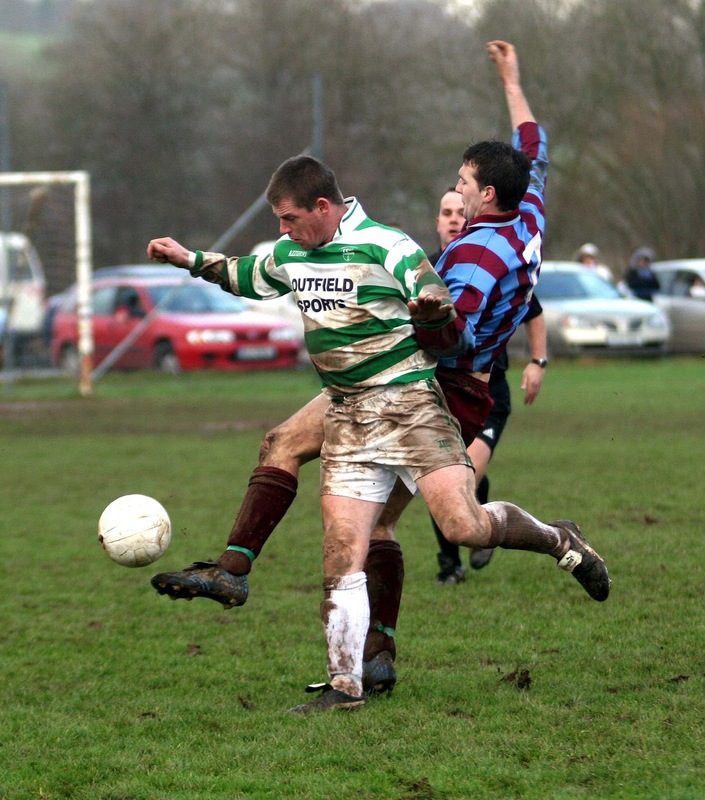 Thomas Fitzgerald was the scoring hero for the winners. He opened with a terrific header on the half-hour. Villa pulled one back from an early second half spotter but the visitors were in control after that and Fitzgerald fired in the winner midway through. Villa handicapped themselves by having three of their players yellow carded in the opening quarter. 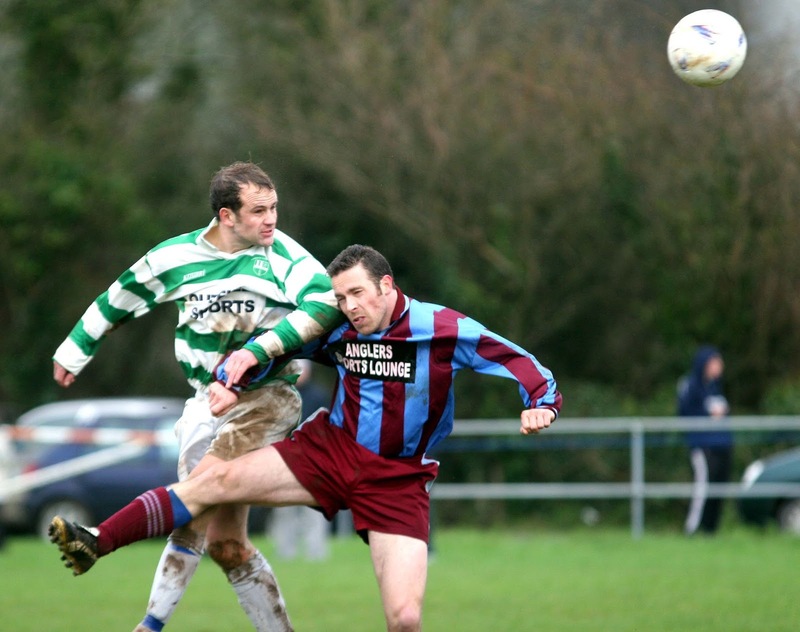 Besides, their normal passing game was virtually non existent and they had to rely on long range free kicks by John Paul Murphy to test visiting keeper Adrian Walsh. John Paul had Walsh in trouble in the 3rd minute with a 40-yard wind assisted free but his colleagues were unable to capitalise when the ball ran loose from the parry by the Carrick captain. The visitors were passing well and their forwards looked good but were not getting that much possession in the box. They did break through in the 20th minute but home keeper Mossie O'Neill raced from his line to block Anthony Power at close quarters. Then a cross by Ian Cleary caused needless confusion in the Villa box. The ball fell to the incoming Thomas Fitzgerald but he sliced it badly wide. Thomas more than made up for that miss, just after another John Paul free kick special flew across the Carrick goal and narrowly wide. 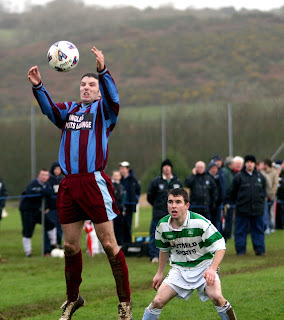 The next tempting Carrick cross was provided from the right by full back Keith Walsh and a towering header by Fitzgerald gave O'Neill no chance. Villa did put a good passing move together in the 38th minute, Conor Murray involved before Paul Murphy’s cross from the right was just missed by the head of the incoming Derek O’Connor. And it was a Paul Murphy cross that led to the 47th minute Villa spotter. Liam Dennehy got ahead of Tony Reale to reach it but was tumbled and referee Damien O’Mahony pointed to the spot and Derek O’Connor converted to make it 1-1. 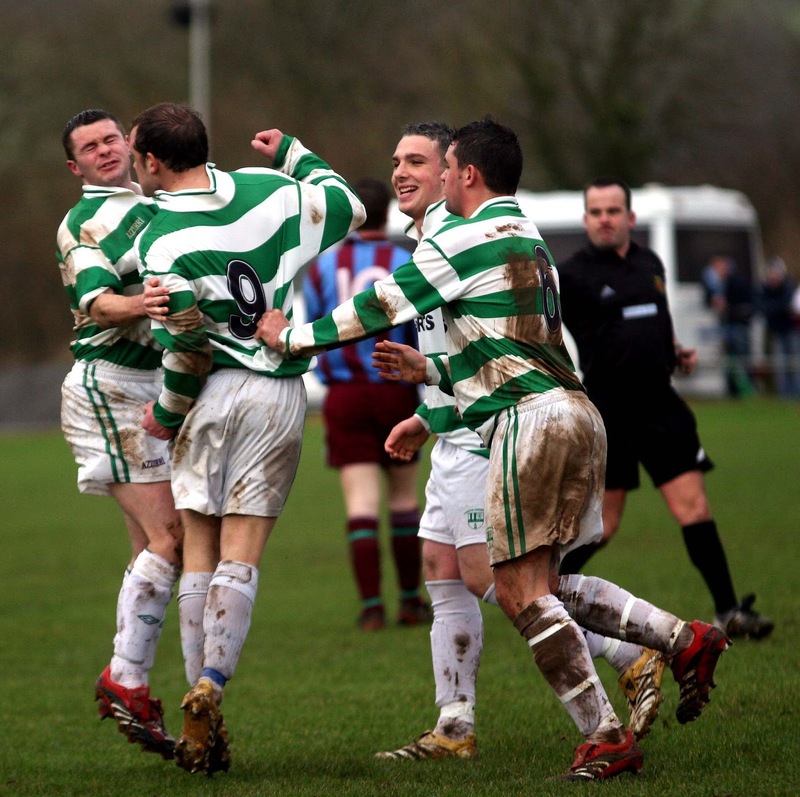 That roused the Waterford League visitors and they laid siege to the Villa goal. 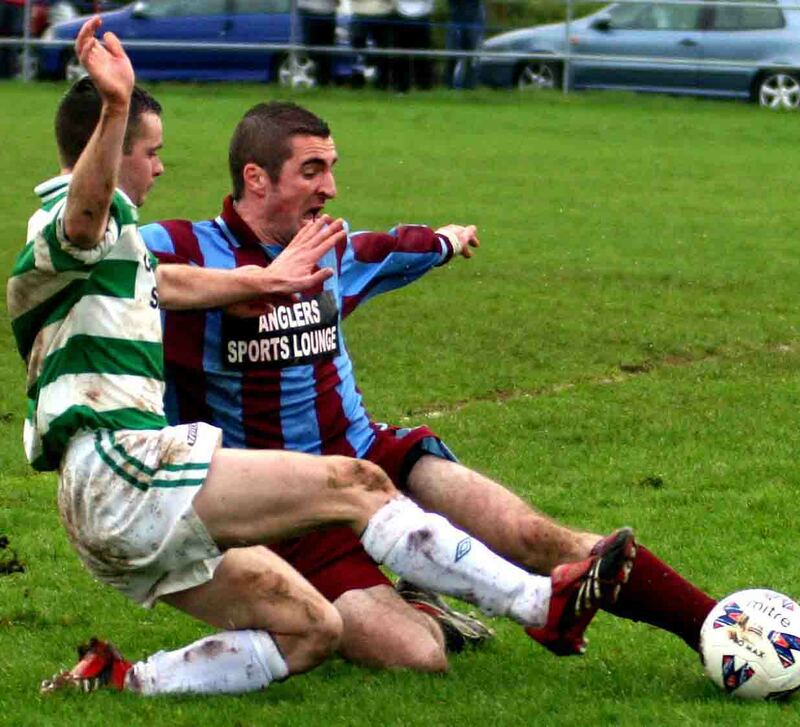 It seemed they must take the lead again in the 52nd minute when Keith Walsh set up Anthony Power for a great cross. But Adam McSharry failed to connect in front of goal; Cleary then had a go but blasted well over. Villa were also lucky after a corner in the next minute when the excellent Cleary had a shot blocked and the follow up by Barry Murphy was too high. Carrick had to wait until the 65th minute to strike the winner. Excellent right flank duo Keith Walsh and Cleary combined to get the ball forward and a defender’s mis-kick in the box gave Fitzgerald the chance to double his tally and his instant low drive from 16 yards did just that. There would be no way back for Villa and the better chances continued to fall to Carrick. Wayne Fitzgerald saw a 73rd minute free go over off the bar and then keeper O’Neill did well to react to a testing angled shot by Power. Villa had the odd break but the second half and a place in the 7th round belonged to Carrick. 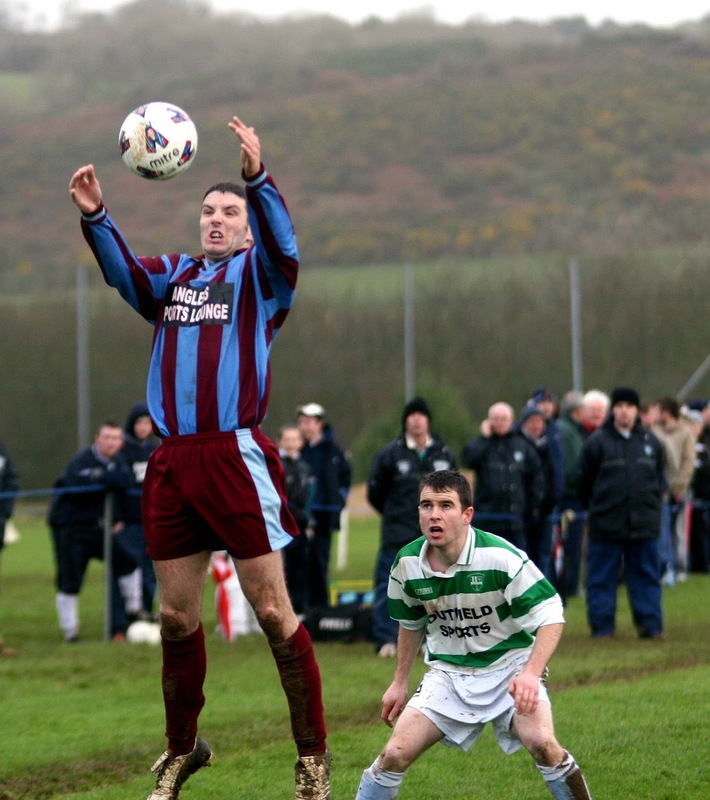 Villa United: Mossie O’Neill, Liam Eager, Terry O’Callaghan, Michael O’Connor, David Knowles, John Paul Murphy, John Betts, Paul Murphy (captain), Derek O’Connor, Conor Murray and Liam Dennehy. Subs used: Laurence Betts for Murray (79th minute), Brian O’Callaghan for Dennehy (86th) and Jonathan McCarthy for P. Murphy (89th). Carrick United: Adrian Walsh (captain), Keith Walsh, Brian Barry, Tony Reale, Anthony O’Donnell, Wayne Fitzgerald, Anthony Power, Ian Cleary, Thomas Fitzgerald, Barry Murphy and Adam McSharry. Subs used: Alan Ryan for McSharry (76th) minute) and Gerard Walsh for T. Fitzgerald (81st). Referee: Damien O’Mahony; assistants: John Linehan and Richie Murphy.